Alex Dunlap is joined by the Trashman to discuss why O.J. 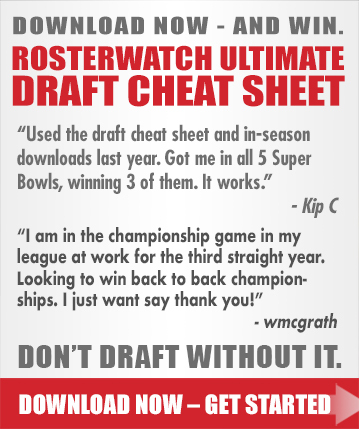 Howard’s slotting on the newest version of the RosterWatch ultimate draft cheat sheet is nothing personal against him, plus more. Please consider supporting the podcast by purchasing a PRO membership at RosterWatch.com and subscribing, rating and reviewing wherever you listen. What are your thoughts on Jerick McKinnon? Without bastardization, I have used the PPR sheet. I want your thoughts on my Dynasty draft start, maybe I’m overly paranoid, I think I have too many question marks. 12 teams ppr picking from the 5 spot. love that start. it’s not made for dynasty but it’s a great draft. Thanks. Apreciate all the info. Loved the boom bust reports. I get a lot of Football info but, RW is the only ones I pay for. Is RW not on siriusxm? Is the RW still “Gone Fishing”? I heard the commercial all weekend; “Rosterwatch 3-5 Sundays” and at 3-5 ET(1-3 here in the great state of Wyoming) ProFootball focus was on after fantistics w/ Kyle Ulfrank folling up straight into howard bender. No RDubbs….. Entering my first Dynasty Draft, which also doubles as my first Auction Draft. Curious to see what tools would be most helpful for me to use/what strategy best aligns with the cheat sheet. 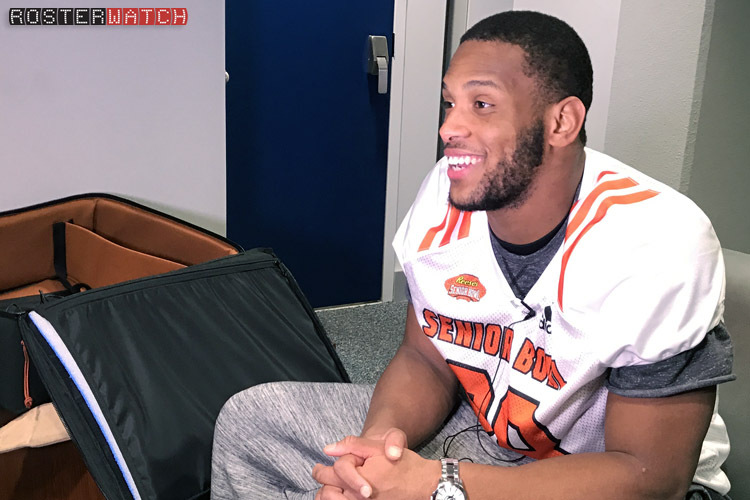 I’m thinking about a studs and duds approach with a balanced profile – 1 marquee RB, 1 QB, and WR…then I think I can identify cheaper options later on. The only other option i see is loading up on mid-tier guys and having a more evenly priced team, but i think i prefer the former. Would love to hear your feedback.